As a coffee lover, I always look forward to sipping a cup of java in the city I’m about to explore. My usual routine is to ask a local where their favorite cup of coffee is. Since I’m not multilingual, there were multiple times that I needed some help in order to ask the million-dollar question, “Where do I find the best cup of coffee around here?” Thankfully for my sleepy, non-morning-liking, caffeine-fueling self, I had my translation apps. Gone are the days where expats rely on flipping through a 100+ page book of English translations, taking up precious room in their already tight backpacks. With a quick swipe, tap and scroll of a finger, Translation Apps have made it possible to communicate with just about anyone, anywhere. Below are some of my favorite translation apps I recommend you keep handy in case, you know, coffee is your thing too. In my books, Google Translate is “the favorite” of all translation apps. Why? 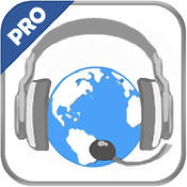 Because it’s: free, can be used on many devices (iOS, Android, Windows Phone), translates more than 80 languages, works offline and can translate by using speech, typing text or taking a photo of a word or sign with the camera option. The simple layout and quick translation also brings this one to the top of my list. 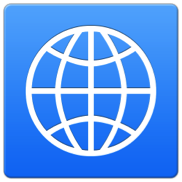 With over 90 supported languages, iTranslate is a simple and easy way to translate just about any word or sentence. 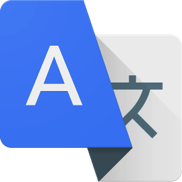 Although it can be compared to Google Translate, reviews state the app works best for word-word translations, as opposed to whole sentences. Language services in French, Russian and Spanish have some of the greatest reviews. If you plan on heading to Southeast Asia, WayGo will be your best friend for all your translation needs. What makes this app special is the award winning visual translation service. With this, all you need to do is hover the camera over foreign text for it to instantly translate. The app can be used in offline mode, which is appealing if you don’t have a wi-fi connection. 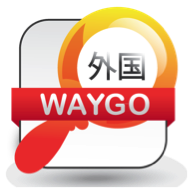 WayGo is quickly gaining popularity and has been featured in ABC News, The New York Times and Forbes, among others. Forget having just a translation app… the Translate Speak & Translate PRO is more like your own personal interpreter sitting in your back pocket. When connected to Wi-Fi or a data connection, the voice translator automatically detects and converts speech into one of 66 languages. For quality and accuracy, PRO is the way to go. When it comes time for your next Expat adventure, leave the language translation to one of these apps and: enjoy your travels! / buen viaje! / buon viaggio! / gute reise! / Yoi tabi o motto imasu! Like what you read? Want more? Follow us on Facebook and Twitter!